Graphic Sports is a leading provider of custom screen printed merchandise in the Fort Worth area. We offer high quality garments including basic tees, organics, blends and fashion tees. We use a variety of screen printing inks and do all of our own screen printing in-house. We have a large showroom and warehouse and have modern screen printing equipment. We have the capacity to screen print up to 2000 items a day or, so we can offer quick turnaround on most orders. We ship to customers all over the U.S.
Design your own or pick from a variety of our artwork to get a quality screen printed product to promote your business. 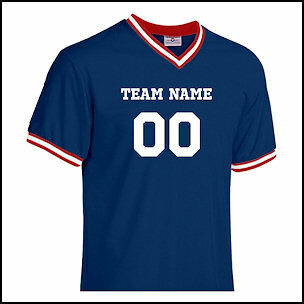 We do Team Jerseys for all sports including baseball, softball, track, soccer, basketball and cheer, We can do names, numbers& logos. Custom screen printing is by far the most popular decoration choice for custom t-shirts and apparel. When you choose custom screen printed tees, you will get a fantastic, durable, vibrant print that is cost effective and long lasting. The prices of custom screen printing on t-shirts is quantity based so the more you buy, the more you save! Get your logo applied to a shirt forever with screen prints. Multiple ink colors can be used, and the inks can be blended together to achieve many colors! PMS color matching is also available if you have specific colors in mind for your personalized printed logo T-shirts and apparel. Or, choose from our huge selection of stock screen-printed ink colors. Specialty inks are available as well! 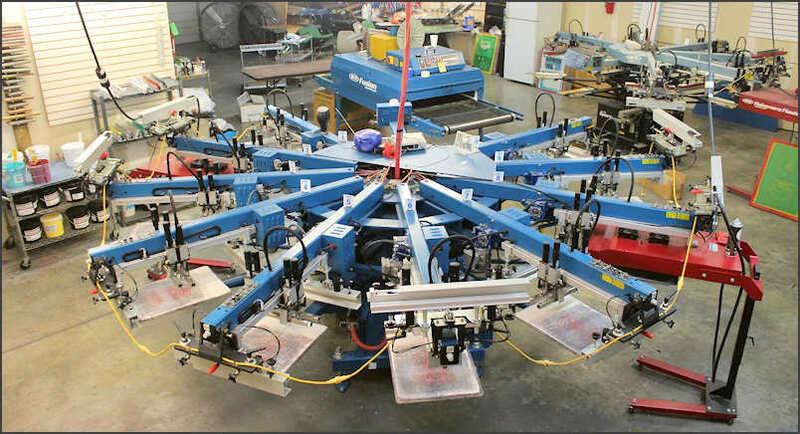 Learn more about our fast turnaround on customized silk screen printing. We can print artwork that you provide or we can help you with a custom design. We work closely with you to achieve the look and quality that you expect before we start your project. We can do small or we can do large jobs. We offer a large selection of blank shirt brands and styles, from basic economy brands and fashion brands in a wide variety of colors and sizes for men, women and children. Some of the brands include Nike, Hanes, Gildan, Sport-Tek, New Era, Eddie Bauer and more. You can view a selection of clothing available for screenprinting here. You can count on us to have eye-catching texts and designs on your clothing, such as polo shirts, jackets, caps, golf shirts, bags and more.